4.9 25 based on 25 ratings. How to make your small room look bigger? Adding a room addition to your home can be a very effective way of gaining extra space for your home. Why? The only other methods are buying a larger home or remodeling an existing space—which will mean making a different room smaller. Not with a room addition! A room addition adds living space onto your already existing home. A room addition can include adding a second story to your home, adding a room at the back of your home, or even a combination of both! 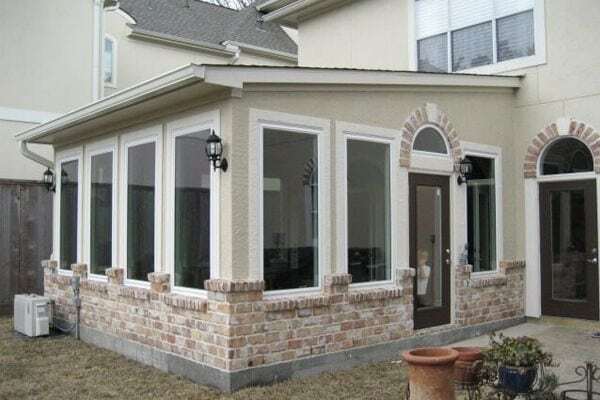 A room addition can be a cost effective way of getting that extra space you need, without going through the hassle or buying a new home and selling your old one. Keep in mind that adding a second story addition will require building a staircase, and thus needing to use some of your existing space for that purpose. At Darek and Sons, we have been providing room additions in Chicago for many years and have learned how to make the process efficient as well as high quality. We also strive to make our costs as reasonable as possible. Contact us today for a free quote or to ask us questions about our services. We would love to be of assistance. Darek & Sons Remodeling – home remodeling contractors providing exceptional kitchen, bathroom, basement remodeling, home additions and general home improvement services in the whole Chicagoland.